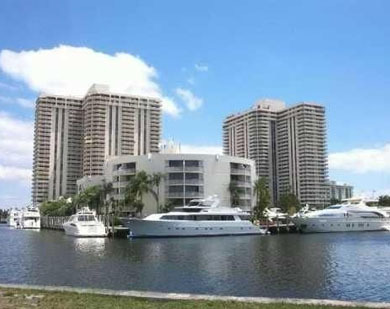 The Turnberry Marina condo in Aventura is a popular choice for boating enthusiasts who wish to have a convenient place to keep their yachts and vessels while also having a great place to live. This mix of a boating lifestyle and high end Turnberry Marina condo residences gives the Turnberry Marina its own unique identity. In addition to boat docks, waterfront pool, and many other amenities, Turnberry Marina offers easy access to the various facilities of the Turnberry Isle Resort and Hotel, one of the most exclusive areas in Aventura. What’s more, Turnberry Marina also features the Pritikin Longevity Center which offers numerous health minded services like massage and therapy. Turnberry Marina features several unique open floor plan designs that offer between 1520 to more than 5500 square feet of living area. Look for wraparound balconies, the latest stainless steel kitchen appliances and more. Aventura is well known for its namesake mall, a popular shopping destination near Turnberry Marina and also very popular among many South Floridians. Turnberry Marina’s location also puts it close to several golf courses, parks and a wealth of popular restaurants. Also near Turnberry Marina and Aventura is Bal Harbour, Sunny Isles Beach, Hollywood Beach and Fort Lauderdale. Miami, Miami Beach and South Beach are a short drive to the south.